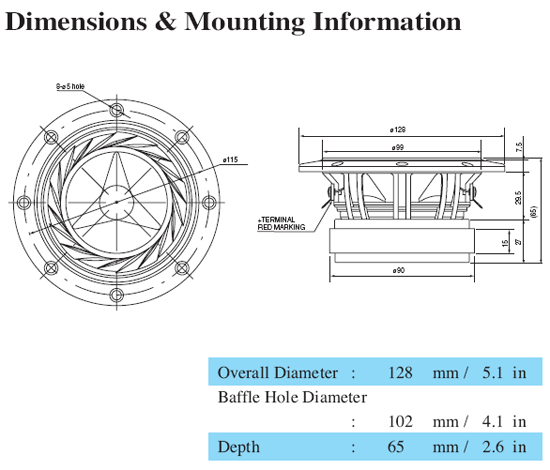 100mm(4") Full Range. 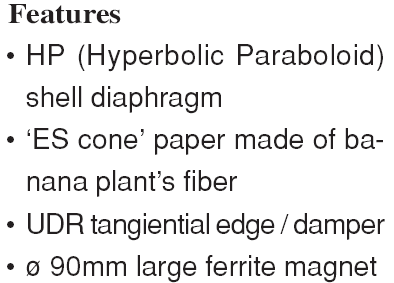 Features include a unique Hyperbolic Paraboloid shell diaphragm, UDR tangential edge damping and ES cone manufactured from banana plant fiber. 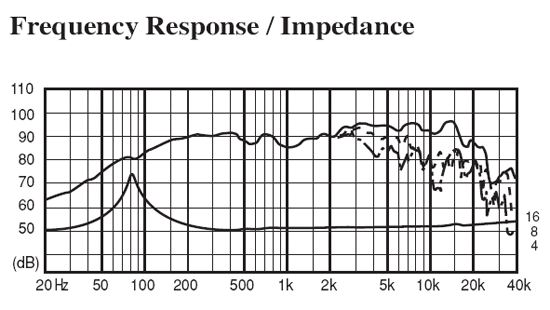 This all helps to produce a smooth and detailed sound. 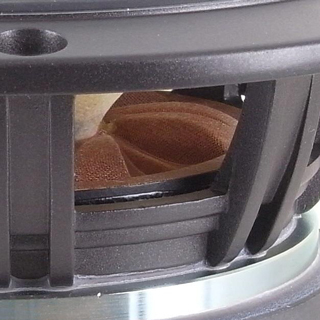 Available as upgrade option in the BK12m Folded Horn Speaker Kit. Using as a replacement for original Thiel CS3.5 midrange. Just installed today, and even though they need some time to settle and break in, I am beyond pleased. I've used the original mid, a Scanspeak mid, a Dayton mid, and this is by far the most cohesive and honest choice. The music is exactly where it should be, it's precise but not bright, and it adds a depth or dimension that was not there with the other drivers. Very happy with this Fostex FE108EZ. Somewhat coincidentally, the diameter was a perfect fit for the existing cutout. Highly recommend as a replacement for what is an almost-impossible original driver to find in halfway decent shape. This little driver is amazing.